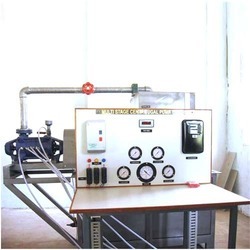 We are a leading Manufacturer of hydraulic ram test rig, reciprocating pump test rig, tilting flume apparatus, kaplan turbine test rig, pelton wheel turbine test rig and multistage pump test rig from Indore, India. 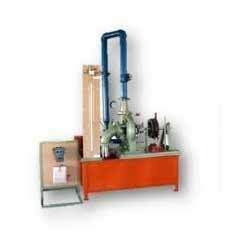 We are the best manufacturer, exporter and supplier of a wide array of Hydraulic Ram Test Rig. The offered range is perfectly manufactured making use of an excellent grade raw materials & ultra-modern techniques. In addition to this, the entire range is precisely quality tested on pre-defined parameters to make sure its perfection. 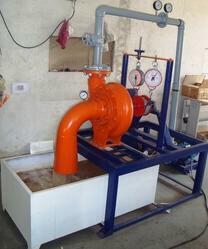 The offered Reciprocating Pump Test Rig is available with us in assorted specifications. This product is precisely fabricated making use optimum grade material in total compliance with the set international quality norms. In order to make sure the quality of offered product, it is precisely tested at assorted parameters by our skilled quality analyst. Clients can avail this product from us at market leading prices. A 76mm wide, 250mm high open channel. Clear acrylic sides to give visibility of the working section. Ajacking system permits the slope of the channel bed to be adjusted between -1% and +3%. 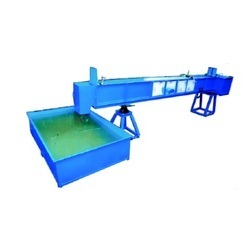 Include a Venturi flume, sharp and broad crested weirs, 2 vernier level gauges, adjustable undershot weir and crump weir. Motor:0.55kW split capacitor start with built in overload protection, Speed 2800rpm, Class B insulation, Continuous duty. Gauges: 2 x 300mm resolution 0.1mm. 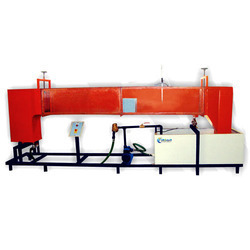 KAPLAN TURBINE TEST RIG We hold great proficiency in providing the best array of splendid quality Hydraulic Machine Lab. The offered range is precisely manufactured making use of splendid quality raw material and ultra-modern technology. 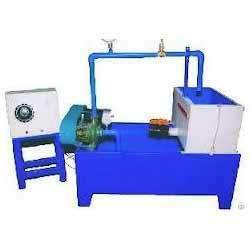 We offer this product in assorted specifications as per the needs of the clients. 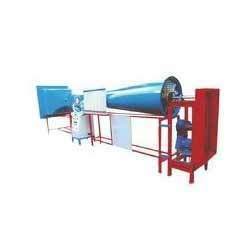 This product is available at most economic price range to our precious customers. 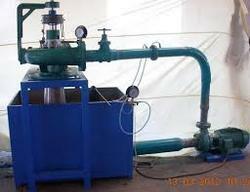 Our firm is the leading manufacture, exporter and supplier of Centrifugal Pump Test Rig. This product is designed & perfectly developed making use of the best quality raw material under the supervision of our experts. 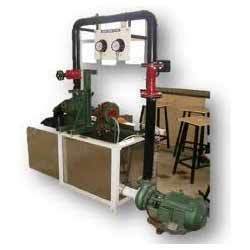 We offer this product in assorted sizes and other related specifications as per the needs of the clients. 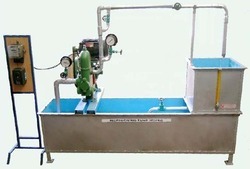 Moreover, our clients can avail this test rig from us at market set rates. 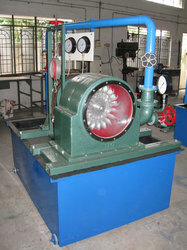 Being a well-established organization, we are presenting a wide range of Francis Turbine Test Rig. Our professional manufactures the entire range by using ultra-modern technology utilizing utmost grade raw material and cutting-edge machinery. Moreover, post manufacturing process is passed through a series of tests to make sure that we are offering an absolutely defect-free range. This product is made available as per client’s specification at the market leading price. 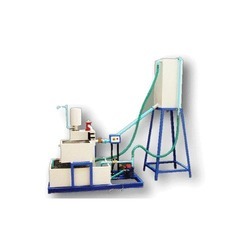 Looking for Hydraulic Machine Lab ?